Property 1: 3 BEDROOM HOUSE IN PERFECT LOCATION! Property 3: The lodge that isn't a lodge! The Laidback Lodge! Quaint house with mountain views, close to everything! Property 6: Quaint house with mountain views, close to everything! Stunning historic house in the middle of Takaka. Property 7: Stunning historic house in the middle of Takaka. Property 9: Beau Vista Pohora - views to die for! Property 13: Ligar Bay - Beachaven Cottages (front). Kayaks, WiFi, Virtually Beachfront. 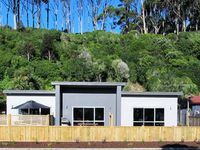 Property 45: Modern 'Kiwi Bach' Style Holiday Home So Close to the Beach! 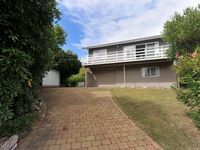 Property 50: TAKAKA GOLDEN BAY HOBBIT AND LORD OF THE RINGS.